As part of the cooperative business model, one of our core principles is “Concern for Community.” While our priority is always to provide safe, affordable and reliable energy, we view our role in the community as a catalyst for good. We are purposeful in supporting the efforts of local groups such as the United Way of Suwannee Valley, The ARC North Florida and Love Inc.
We work closely with our local schools to conduct safety demonstrations, award college scholarships and provide support for academic, sports and band programs. SVEC also participates in an annual youth tour where we take some of our community’s brightest young people to Washington, D.C., to experience democracy in action. The trip is inspirational for many students, and we are both humbled and honored to be a part of this leadership development opportunity organized by our state and national associations. Ultimately, the larger community benefits from these programs because of you. You empower the co-op through your membership and through your participation in and support of these programs. When you attend co-op events, alert us to problems or provide suggestions to our employees, you help us improve operations and thereby better serve the larger co-op membership. Because we are governed by members like yourself, we are able to get a firsthand perspective on community priorities, which enables us to make better-informed decisions on long-term investments, such as equipment and technology upgrades. 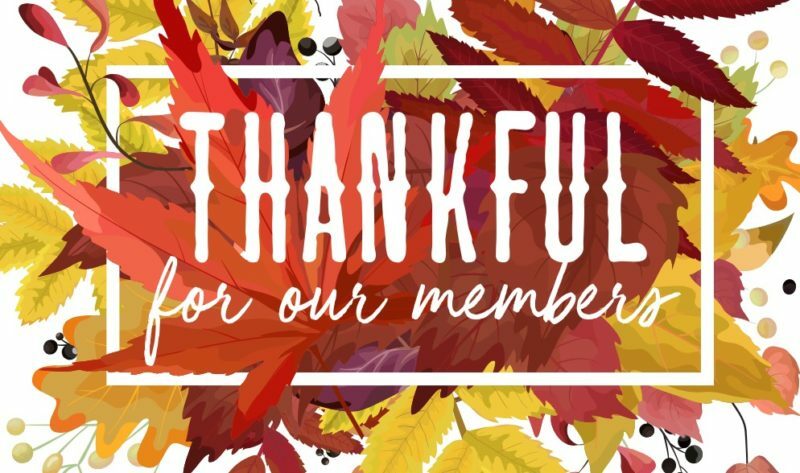 We are thankful that our trustees carve out time to attend important training sessions, participate in planning meetings and keep abreast of co-op and industry issues. This investment in time results in better-informed advisors who serve the co-op’s interests in a way that our consumer-members expect and deserve. On a more personal note, we appreciate the many acts of kindness our lineworkers and other employees receive when they are working in severe weather and hazardous conditions. Our employees are thankful for your patience and consideration when we are trying to restore power during challenging situations and prolonged periods. SVEC was established 81 years ago to bring electricity to our area when no one else would. The cooperative is a reflection of our local community and its evolving needs. Together, let’s continue making our corner of the world a better place. We can’t do it without you, and we are thankful for you and your support.